Earlier this year my husband I went to Williamsburg, VA to visit his sister. While there we went to Colonial Williamsburg a couple times during the weekend. (Lots of walking, go when it is cool.) We did have a marvelous time. (when I wasn’t complaining about the heat) I remember when we went last, a few decades ago, and one parked at the fence-line and walked straight in. Like any little town it has grown into quite the little business center. There is an entire welcome center and a hotel and more. If you do go, decide to eat there, the food is wonderful. 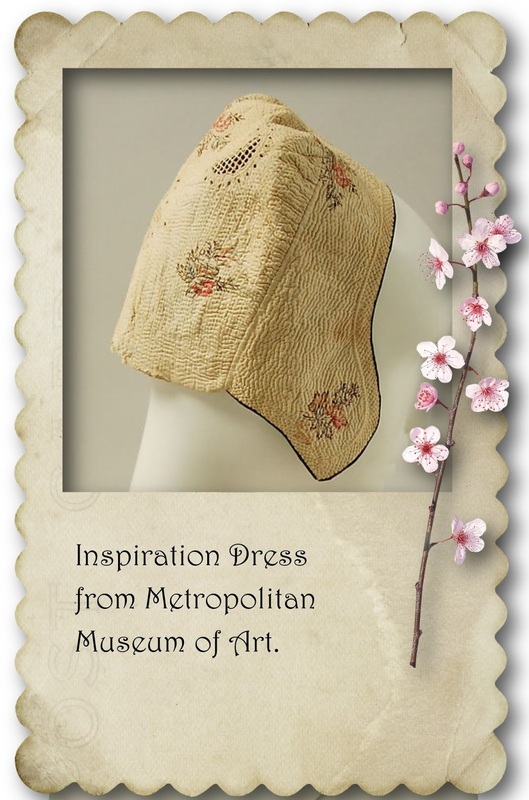 And do not miss the museum! Besides being air conditioned, still complaining about the heat, the additions have been completed. You would never know you were underground! I stopped at one point to rest and listen to the pianoforte. I fell in love with the different sounds. You will, too! In the textile room, I took more pictures than probably allowed of the needlework and clothing. The following day I went back to Mary Dickinson’s store. 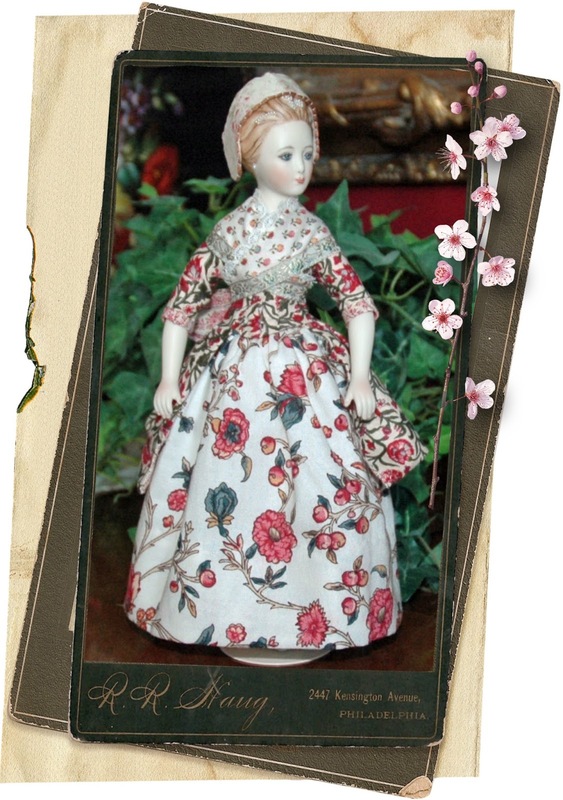 I had Grace in mind and was hoping to find fabrics to make her a dress. 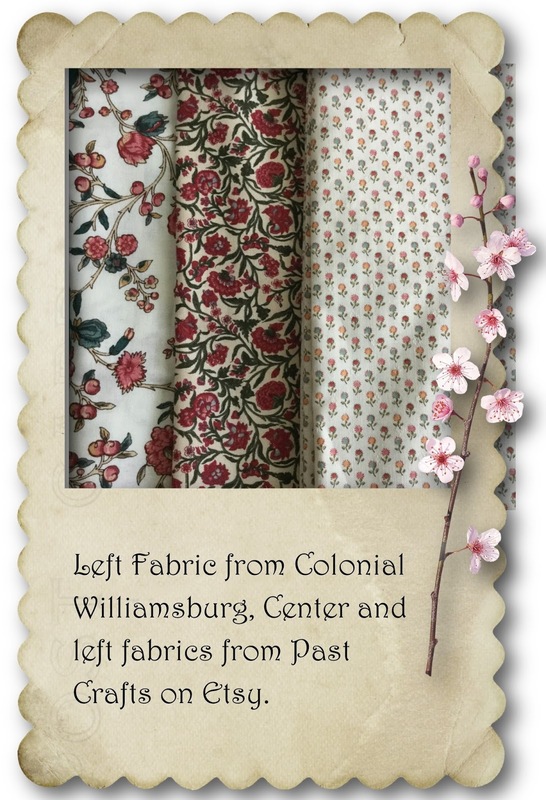 In the shop were fabrics that are original reproductions of designs from Colonial Williamsburg. The dyes and the printing are by direct specifications. I bought one fabric I thought would possibly have use for a period garment for Grace. The other fabrics I purchased were from the internet. 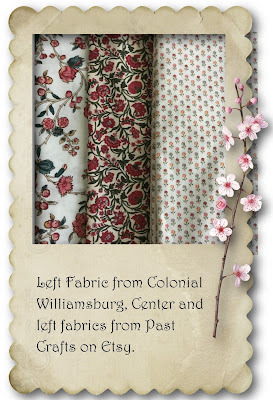 It was true serendipity as the fabrics look so well together. IIt seems I always make a mistake! The fabrics in the center and on the RIGHT are from Past Crafts. Since I always say, ‘I have no original ideas’, I decided to check my books and, of course, the internet to find inspiration for this large pattern. 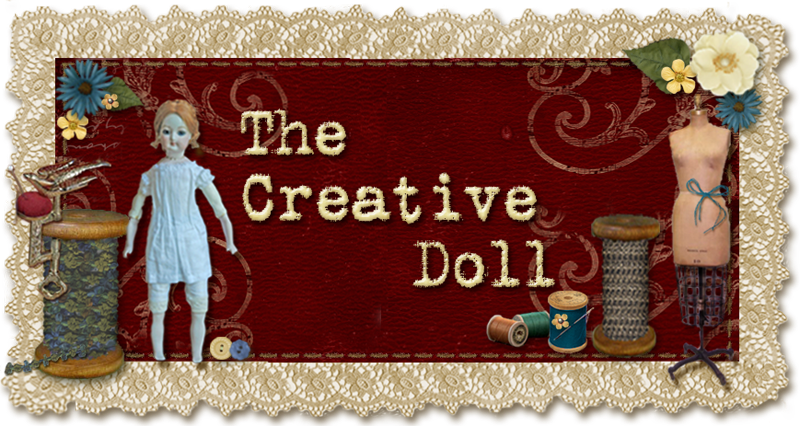 Grace is an 8” tall doll, the fabrics could overwhelm her easily. 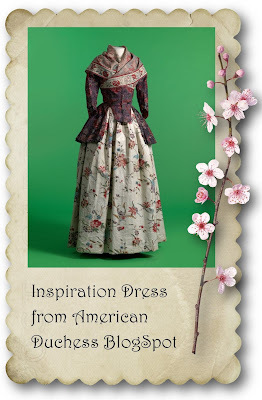 Finally, searching through Pinterest I found an inspiration dress and more or less, set to work. 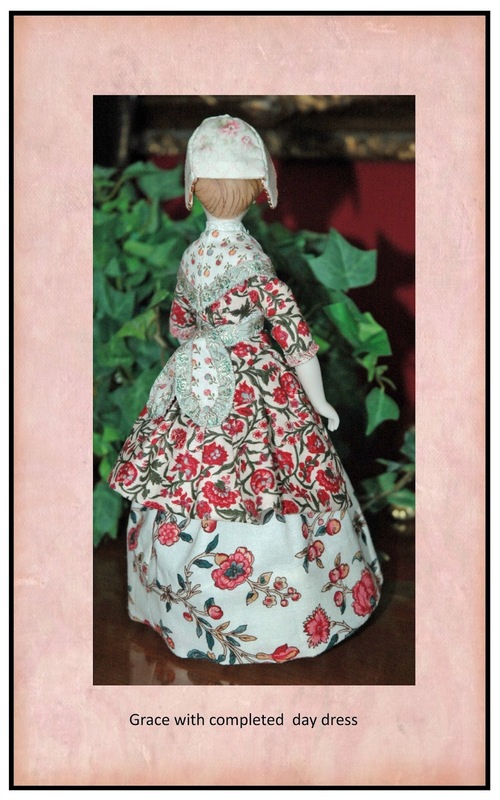 I used the wonderful patterns created for this doll by Sheryl Williams. (They were on the CD that came with our digital journal.) You can never go wrong with anything from Sheryl. I sing her praises each time I get to take a class or use her patterns. Simply the best. For this project I did modify the bodice a little. I did not use the skirt front panel and I cut the overdress length to create the shorter jacket style. 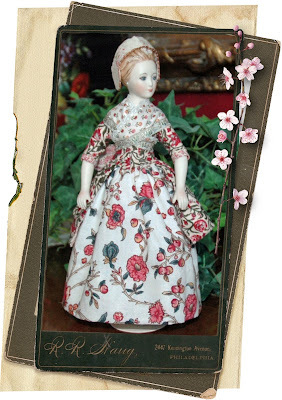 Modification of an old Marie Antoinette Fichu pattern was the final addition to her dress. The entire costume is quite busy and yet it still seems to be balanced. What would our young miss be doing in her simple costume? I figured she could be out for a simple walk, and collecting flowers? I like that idea and have a basket for her and am creating a bunch of flowers from a kit. Maybe another post about Grace will come as her wardrobe and accessories grow. Although my family and friends laugh at me when I say it... Colonial Williamsburg is my dream vacation. I've been three times. First in 1975 in the Fifth Grade as our class! It has become a bit more commercialized in recent years. Last time I went (in 2000) there was a long "Disneyland-like" set up of ticket booths and turnstiles. I have never visited the shop that sells fabric....maybe I did and just don't remember. I do remember buying and lovely, flat brim straw hat for my doll in 1975 in the Millinery Shop.